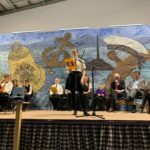 A school on the Isle of Skye has beaten off competition from scores of other schools across the country to win a prestigious competition organised by leading Armed Forces charity Poppyscotland. The charity’s design competition – entitled Poppy Places and Spaces – called on schools to explore the power of design as part of remembrance and reflection. 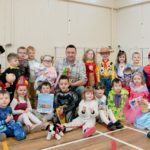 Primary four to seven pupils at Bun-sgoil Stafainn (Staffin Primary School) will now receive up to £1,000 to bring their vision of a memorial garden to life after their design garnered high praise from the judging panel. Bun-sgoil Stafainn’s winning entry will be located at a memorial area that already exists, but has become tired and underused. The area will now be revived with ideas coming from young people in the area. It will include a Poppy-themed gate and a bog garden to represent the muddy conditions of the First World War, and they have created the idea for poppy-shaped benches and a flower bed. One of the pupils has a great-great-grandfather who died during the Great War and has no grave. This fallen soldier will be remembered at the site, too. 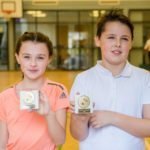 The competition was divided into two age groups – P4-77 and S1-3, and was inspired by the fact that 2018 is the 100th anniversary of the end of the First World War. It supported the question: ‘Why is it important to remember?’ Bun-sgoil Stafainn took the overall prize by winning the most votes in an online public vote, but another school in the area – Bun-sgoil Lacasdail (Laxdale Primary School; Gaelic-medium 3-7) on the Isle of Lewis – was also shortlisted. The children from Bun-sgoil Stafainn said: ‘We are delighted to have won the competition and can’t wait to get started and see our design for a refreshed memorial space for Staffin become reality. It means a lot to us to be able to both represent and give something back to our close-knit community in such a meaningful way. Judges Susan Whyte, a school development officer, and Joanna Mawdsley, the learning manager for schools, young people and families at the V&A Dundee, commented: ‘We are delighted that Staffin Primary school has been voted as winners of this great competition. V&A Dundee believe that design heritage has incredible power to inspire new creativity. It was therefore a delight to see how Staffin pupils used a personal link to their past as inspiration, for a space that will serve them now and in the future. 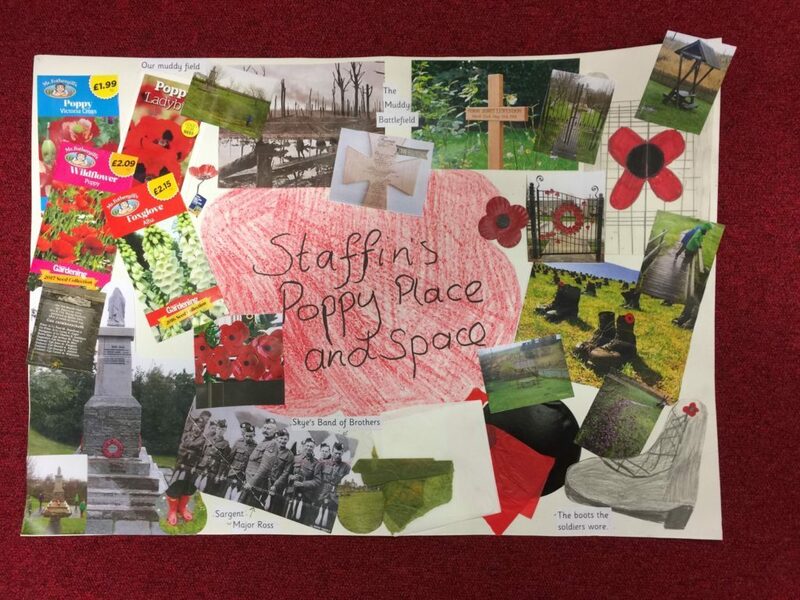 Isla Campbell Lupton, the learning and outreach manager at Poppyscotland, said: ‘We challenged schools to design a Poppy Place and Space – an area for Remembrance and reflection. Designs could have been produced by hand, by computer or using appropriate mixed media. It could be an outdoor or indoor space and we asked pupils to be as creative as possible. The aim was to get youngsters to work together to submit an entry as a class. ‘It is important that young people are well informed and able to contribute to the ongoing dialogue about the poppy as a symbol of Remembrance. Poppyscotland does not seek to lead this debate in one direction or another; rather we facilitate as broad an understanding of the subject as possible among our nation’s young people.